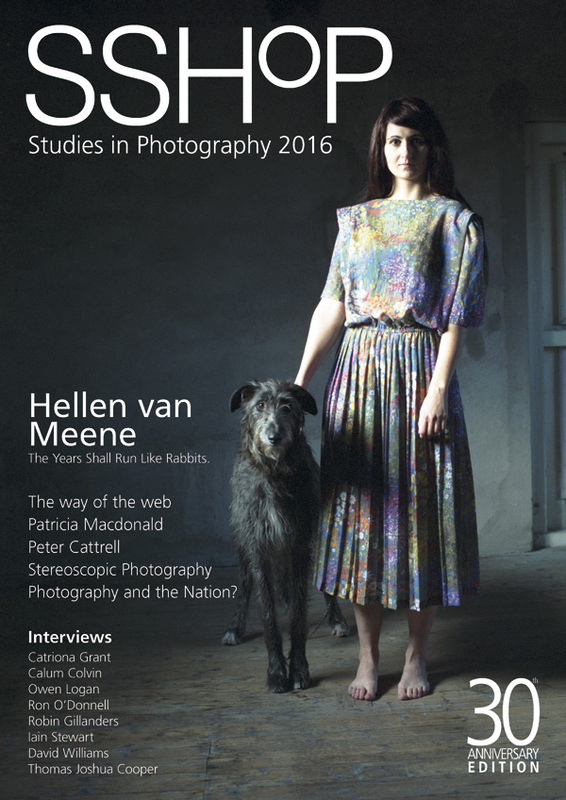 We are delighted to be launching our 2016 Anniversary edition of Studies in Photography. Please join us at the Scottish National Portrait Gallery in Edinburgh from 5-7pm on the 30th June to celebrate! The relaunch of the printed journal as a twice yearly publication starts with this Anniversary Edition which takes its inspiration from the 1996 edition which featured the work of several photographers who exhibited in the seminal exhibition Light From the Dark Room at the National Galleries of Scotland in 1995.
International Photography Curator at the Scottish National Portrait Gallery, Anne Lyden, will welcome us along with Alexander Hamilton, Chair of SSHoP (Scottish Society for the History of Photography), who will introduce the work of the society and its journal. Available online at the National Galleries online shop.